Armorama :: Dragon M48 Magoch 2 in 1 Kit OK For Nam? Dragon M48 Magoch 2 in 1 Kit OK For Nam? I have recently acquired the Dragon Magoch 1 & 2 2 in 1 kit and was wondering if it could be used to build a US Viet Nam era M48? My knowlege of armor after WWII is pretty limited. Not really. The Magach 1 is an M48A1. The Magach 2 is an M48A2. 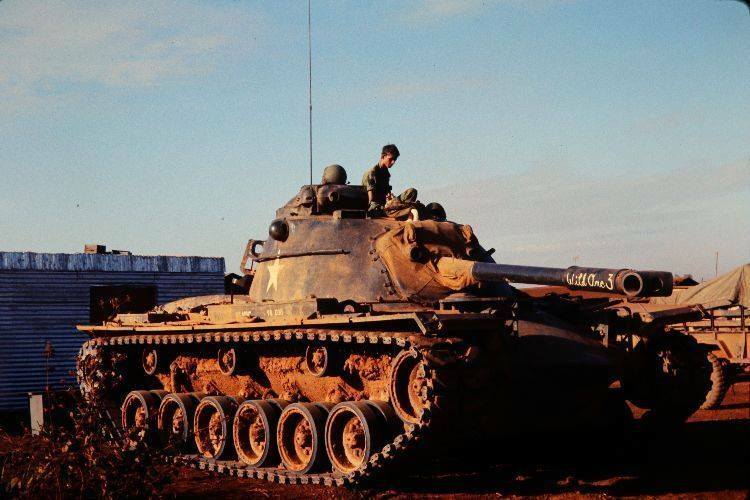 The US used mainly M48A3s in Vietnam. Thanks, Gino. I guess I'll have to build this as is and get a 'Nam era vehicle when I'm ready to do one. Although not as common, the U.S. Army did use some M48A2 in VietNam. So you are good to go with the kit you have for a US vehicle. You'll just have to source some US markings. I'd also highly recommend the DEF models mantlet/barrel update set. Hi Brett, I reviewed this kit here so you can see what is in the box before you buy. While it is supposed to build an A1 or A2, they also included all the parts for the A3 as well, so you can build your 'Nam A3 with suitable aftermarket decals. But the instructions don't mention those extra parts, so you might need to look up the A3 instruction sheet over on 1999.co.jp to figure out which part goes where. Thanks for all of the replies, volks. Very helpful. I did some searching and found the instructions for the 'A3 version, so I will go through the parts and sort out what stays and what goes in the spare parts drawer. If you are set on doing a M48A2 from Vietnam, then look for tanks from 12-77 Armor or 4-12 Cavalry, both units from 5th Mechanized Division. There is one a good color pic of a M48A2 from 1-77 Armor fording a river. that comes to mind, if you need a reference for markings. I did some further research about my initial question. Apparently this 2 in 1 kit I have is done in typical Dragon fashion: add more sprues to make a different vesrsion, but don't subtract. I read one review where a guy dug around in his spare parts and with very few pieces was able to combine that with the Magach 2 in 1 kit to make two complete vehicles. Anyway, apparently, all one has to do to make this vehicle into an 'A3, is get the instructions for Dragons 'A3 kit and off you go! The parts in the 2 in 1 kit are there, but just called out in blue as not used for the Magach. I have sourced the instructions online, so as soon as I verify all of this, I'll post back with my findings.